As well as beads you'll also learn how to add extras such as sequins for added sparkle! 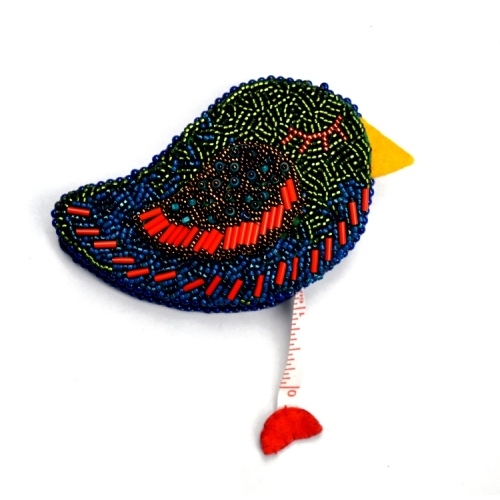 Learn how to create your own embellished beautiful bird with a secret- for within its embellished body is a measuring tape perfect for adding to your beading or sewing kit. The 16-page instant download pattern contains full step-by-step instructions (so is suitable for anyone new to bead embroidery), photos and diagrams to learn basic bead embroidery stitches (plus ways to add extras such as sequins & buttons and how to edge or fringe) and then the full instructions on how to create the finished piece as well as the necessary templates.